Bunny painting Easter eggs painted on candle sconce. 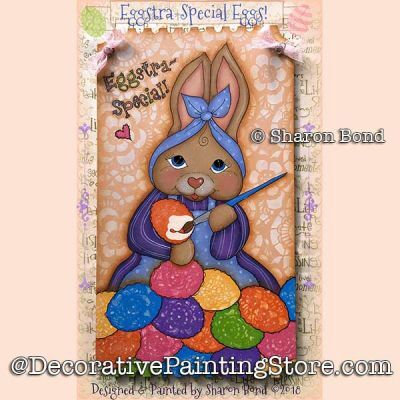 Thoughts of Spring and Easter always make Sharon think of sweet bunnies and colorful eggs! This cute little bunny is busy painting eggs for a very special event! The use of a couple of stencils makes this project easy and fun! Pattern includes photos, instructions, line drawing, and supply list.